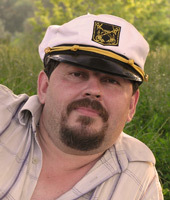 Born May 19, 1962, in the city of Gorlovka, Donetsk region. (Ukraine). He graduated from the Kiev Art and Industrial College. Faculty of Design, in the specialty of the Artist-Packaging Designer, in 1986. The first caricature was published in 1975, in the journal Pioneeria. He was published in the magazines “Peretz”, “Around the World”, “The Wheel of Laughter”, “Laughter Parade”, “Around Laughter”, “Crocodile Plus”, Burda Ukraine Publishers (where they have many different magazines), “TV – park “, etc. Participant of more than 30 all-Union, international, domestic cartoon contests (I do not remember exactly) Prize-winner of cartoons “Human Rights”, “Our Home is the Earth”, “The First Million”, “Pilite Giri”, “Law and Order”. He held 2 solo exhibitions, in Kiev in 1999 and in Kaniv in 2001. Member of the “Association of Artists of Cartoonists-Ukraine”, Kiev The last place of work is the Chief Artist of the publishing house “Magnat” and the magazine “Crocodile Plus”.